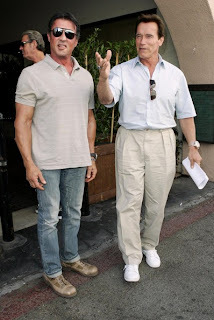 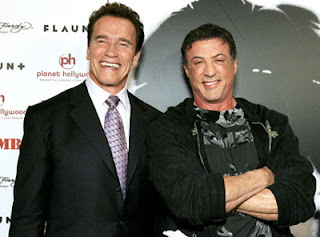 SYLVESTER STALLONE Y ARNOLD SCHWARZENEGGER, ICONOS ABSOLUTOS DEL CINE DE ACCIÓN EN HOLLYWOOD, VOLVERÁN A TRABAJAR JUNTOS EN EL THRILLER “THE TOMB”, DIRIGIDO POR EL CINEASTA SUECO MIKAEL HAFSTROM, INFORMÓ HOY EL ESTUDIO SUMMIT ENTERTAINMENT EN UN COMUNICADO. LA CINTA, QUE CONTARÁ CON LA FINANCIACIÓN DE LA PRODUCTORA EMMETT/FURLA FILMS, CUENTA CON UN GUIÓN DE MILES CHAPMAN ACERCA DE UN EXPERTO EN SEGURIDAD DE PRISIONES (STALLONE) QUE DEBERÁ ESCAPAR DE UNA CÁRCEL DISEÑADA POR ÉL MISMO. 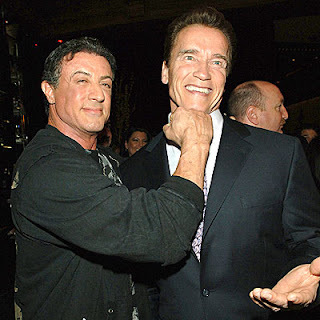 EN ESE RETO CONTARÁ CON LA AYUDA DE UN REO (SCHWARZENEGGER) CONOCIDO POR SUS DOTES PARA MANTENER UNIDOS A LOS PRISIONEROS. 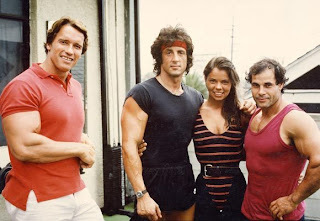 EL RODAJE DEL FILME COMENZARÁ EN LUISIANA EN EL SEGUNDO TRIMESTRE DE ESTE AÑO. 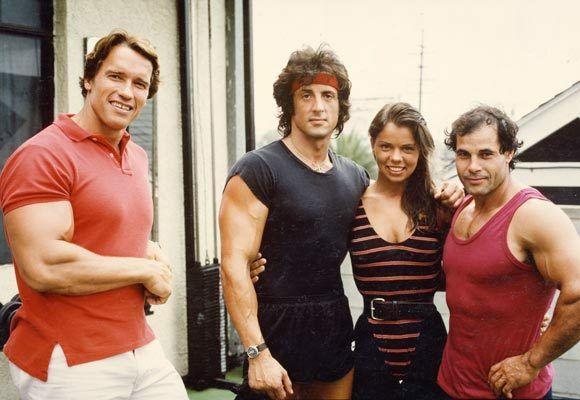 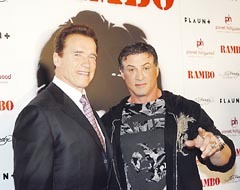 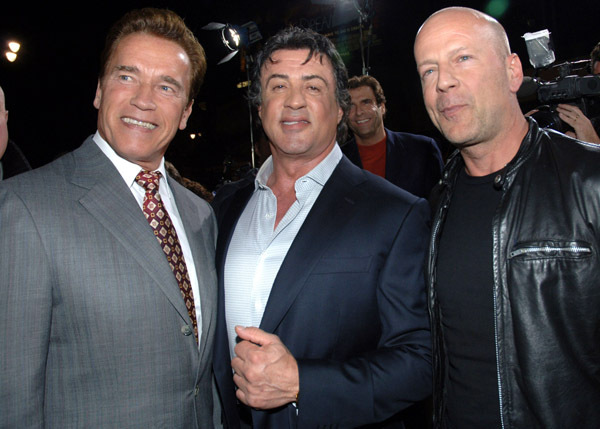 “ESTOY ENTUSIASMADO POR HACER ‘THE TOMB’ CON DOS ICONOS COMO STALLONE Y SCHWARZENEGGER”, DIJO EL PRODUCTOR MARK CANTON. “ES EL EMPAREJAMIENTO PERFECTO PARA ESTE THRILLER EXPLOSIVO”, AÑADIÓ. ESTA PAREJA CINEMATOGRÁFICA APARECERÁ PRÓXIMAMENTE EN LA GRAN PANTALLA EN “THE EXPENDABLES 2”, ACTUALMENTE EN POSTPRODUCCIÓN Y CON FECHA DE ESTRENO PREVISTA PARA AGOSTO. 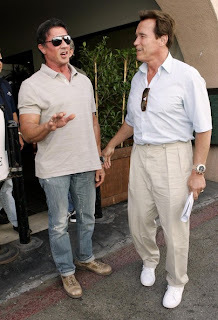 STALLONE Y SCHWARZENEGGER YA COMPARTIERON UNOS SEGUNDOS JUNTOS EN LA PRIMERA PARTE DE ESA CINTA.